Have a significant percentage of customers Recurrent gives strength to the restaurant business strategy. For this reason, increasingly it is seen more often than traditional local and establishments belonging to organized dedicated restoration greater efforts to retain their clientele semirrecurrente, with the eagerness to turn each of those diners who occasionally pass through the room on a regular. Although there are many ways in which this can be achieved, one of the most direct systems are customer loyalty or rewards programs. Old paper coupons could be handy to fill in the time of checkout, a stamp issued with an unexpected account or just off the end of the meal. Today the whole process is automated thanks to the apps mobile and external services who are responsible for providing customer loyalty systems configured to suit the restorer. Of course, not everything is as simple as installing the program and start seeing benefits. During the recent restoration conference TechTable, held in October last year, Jennifer Bell, Vice President of Lettuce Entertain You (a group of restoration settled in Chicago that combines a 60 local brands) He stated that "it is challenging, maintenance is expensive and hard. But worth it ". Of course worth. Loyalty systems current customers are boosting sales businesses of all kinds. also they serve to alleviate the lack of influx at critical times of the year, for advertising campaigns that reach directly and without added cost to consumers more interested, as well as market research tool and improved reputation online. These highly desirable qualities have not been overlooked to some of the biggest fast food chains. During 2018 Chipotle He pounced on technology and after the good results obtained in the last quarter of the year, during this 2019 They intended to make the initial experience, only available at three locations, now comes to all establishments franchise. You can not neglect the turnover generated. In the case of Fazoli's, a fast food Italian which we speak in this newspaper, sales generated through the rewards program that have implemented already accounts a 15% the total perceived. And the banner of these initiatives is neither more nor less than Starbucks. Cafeteria leads using its siren app Mobile longer than any other competitor. Until now have some more 15 million users, and yet at the last meeting of benefits, responsible for services Market Brand said there is still much room for improvement. The real potential to generate sales and participation application hides loyalty is still unknown. When considering who they are adding to this practice, it is logical to accept that this is one of the major trends in restoration during 2019.
further, the use of this strategy is suitable for large local and small. Those willing to make greater investments can have a app Custom tailored mobile, a app that gives them full control over the operation thereof. And those who can not afford such expenses, they can turn to companies like LevelUp (GrubHub property) for, for a very low price, have a rewards program for its guests. In fact, in EE. THE. there are alternative ways by which restaurants can offer their rewards. A clear example is the discounts granted by credit cards (American Express o Chase). 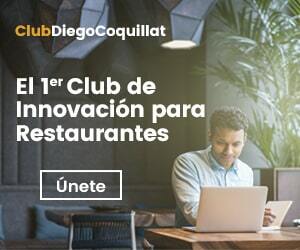 Faced with coupons to seal lifetime, these digital alternatives adopt the doctrine of ultrapersonalización, adding value in the form of discounts and bonuses to really receptive consumers; which, inherently, It is transformed into an improved user experience and greater turnover perceived restaurants. A situation in which all parties win and therefore it is highly desirable, as shown by the trends in current restoration.